Pathways is approved by the Behavior Analytic Certification Board as an intensive practicum site for Salve Regina University. If you are interested in completing an intensive practicum at Pathways please contact Mackenzie Milner. 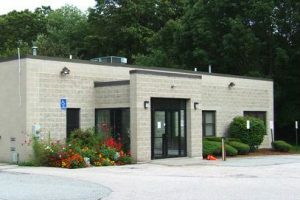 Pathways is hiring Behavior Technicians to work in its state-of-the-art facilities! 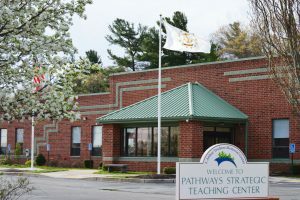 Pathways Strategic Teaching Center continues to grow, and we’re looking for enthusiastic, motivated professionals to help support us in spreading our mission. We have the vision to maximize independence and enhance the lives of individuals with autism and other related developmental disabilities. Do you think you are up for the challenge? We base our education and treatment strategies on the principles of Applied Behavior Analysis and have on-site Board Certified Behavior Analysts. We’re helping individuals make positive changes in the quality of their lives every day. Our days are filled with the joy of watching individuals grow, thrive and become independent members of their community. Our team is enthusiastic and passionate about helping enhance the lives of others. We know that we are making a difference and you should too. Apply for a Behavior Technician position today! At the end of every day I know I’ve helped make a difference. I honestly feel that I am learning as much from those in my care as they are from me. The people I work with are such an inspiration to me. It’s very gratifying to see how much they accomplish despite their challenges. What I love most about working at Trudeau is the level of appreciation I receive from the individuals every day. I love making them happy. Working at Trudeau is more than just a job – it’s a career with a purpose. Helping individuals reach their goals of becoming more independent and living a fuller life is incredibly rewarding.